(1) Create a new App on your Facebook Developers. (3) Go to Messenger > Settings > Token Generation and link this App to the Facebook Page that you want to listen to Messages by generating a Token. (4) You will be prompted with a permission request. Accept to authorize this App and copy the generated token as it will be needed later. (1) Facebook needs to validate your server when setting up the callback webhook). 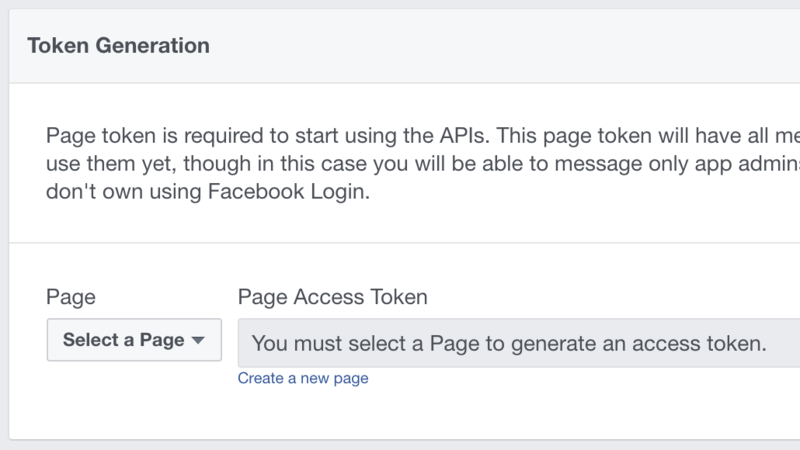 This involves Facebook sending a token to your webhook URL and you respond with a specific challenge string. (2) First, we will create a Rails app, with a single route. You can use your app id as the route URL. E.g. 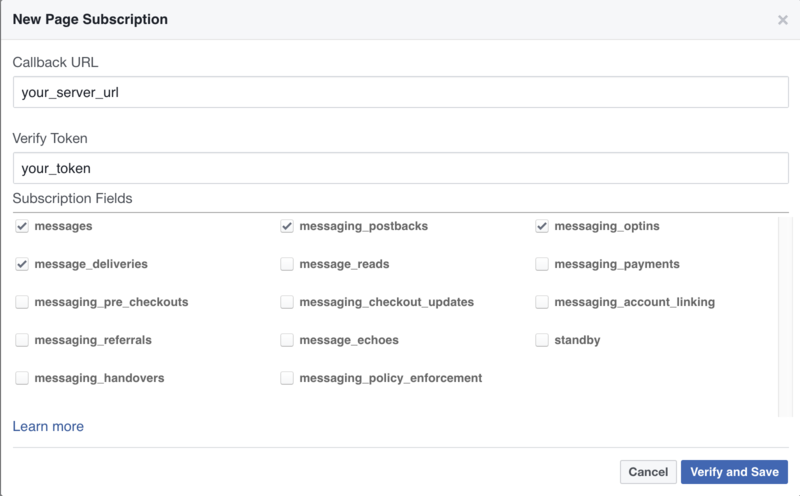 (5) Go to Messenger > Settings > Webhooks and add a new webhook. Enter the Webhook URL and the token for verification. For subscription fields, we will select "messages", "messaging_postbacks", "messaging_optins" and "message_deliveries". (6) Click "Verify and Save" and Facebook will fire a verification message to your server. If your server responded correctly, you will see webhook setup is completed. You can set the webhook to the page your select earlier. (1) You can now add logic to your controller code to handle commands. For this example, we do some simple math calculations based on the inputs. (2) We also need to use the messenger API to send the result back to the user. (3) Deploy the App and test. That's all. 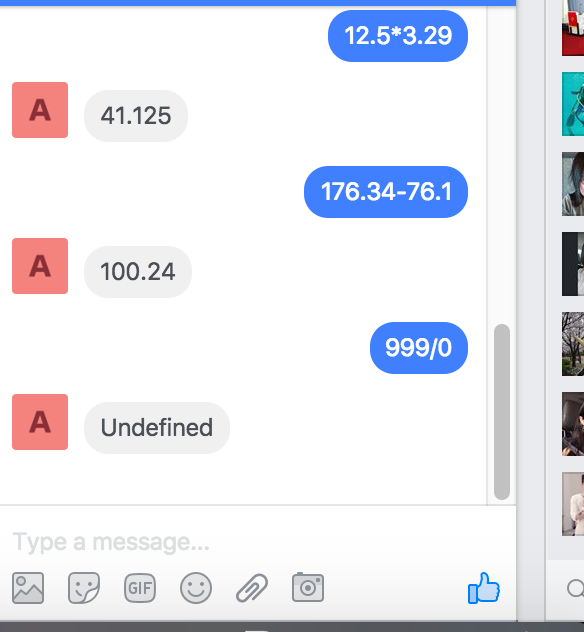 Now you have a messenger bot that can do maths.